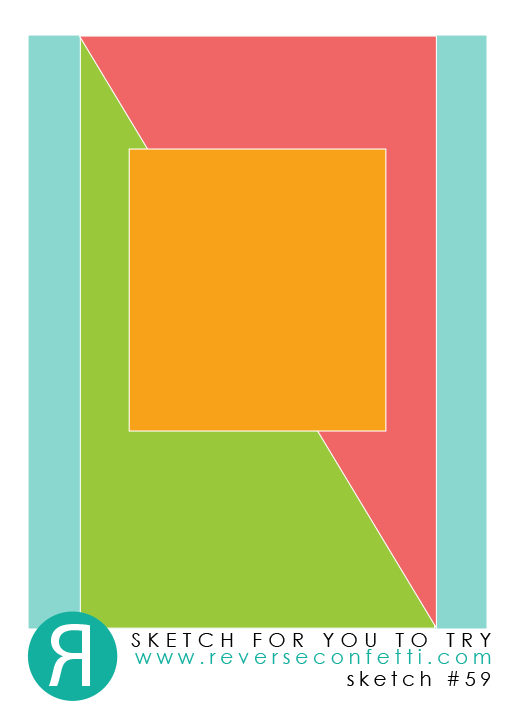 Sadly, this is the last Sketch For You To Try challenge according to Jen's post yesterday on the Reverse Confetti blog, but we can expect other new things coming up soon! I knew I wanted to play along for sure and will miss this challenge that always posted on the first day of the month for the past 5 years! I decided to use my favorite neutral cardstock by RC: Stone! I paired it with this patterned paper from RC's Pattern Play 6x6 pad. 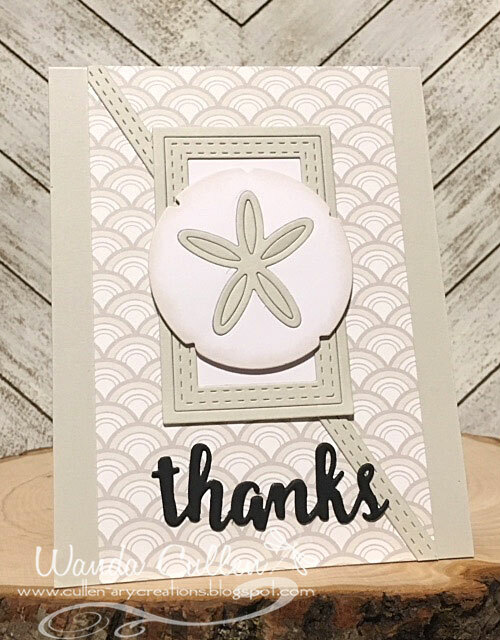 I thought the Sand Dollar die would be a good focal point, so I sponged the edges lightly with Stone dye ink. I added the sentiment from RC's Hello and Thanks Label die set and also used parts of the All Framed Up die set. A really quick and easy card to complete! This is so pretty Wanda! Gorgeous card, Wanda! Love that sand dollar.